A new charity to support this Christmas! Wirksworth Festival is delighted to announce that as from 21st September 2016 it has become a Registered Charity and you can now join in as a member! Wirksworth Festival is delighted to announce that as from 21st September 2016 it has become a Registered Charity! So, now you can become a member of Wirksworth Festival and for just £10 per person per year have the chance to have your say over how the Festival is run! You can become a member of the Festival online. Members are also invited to have a say in how the Festival is run. The Festival will introduce an Annual General Meeting, the first is in November 2017, where members will have an input into the direction of the Festival and vote for members of the Board of Trustees. “The Festival is delighted to be awarded charitable status,” said Carol Taylor, Chair of the Festival Board. If you would like to give one of your art loving friends something a little different as a present, you can also buy a “gift membership”, and they’ll have a whole year’s involvement with one of the UK’s most exciting rural arts festivals. 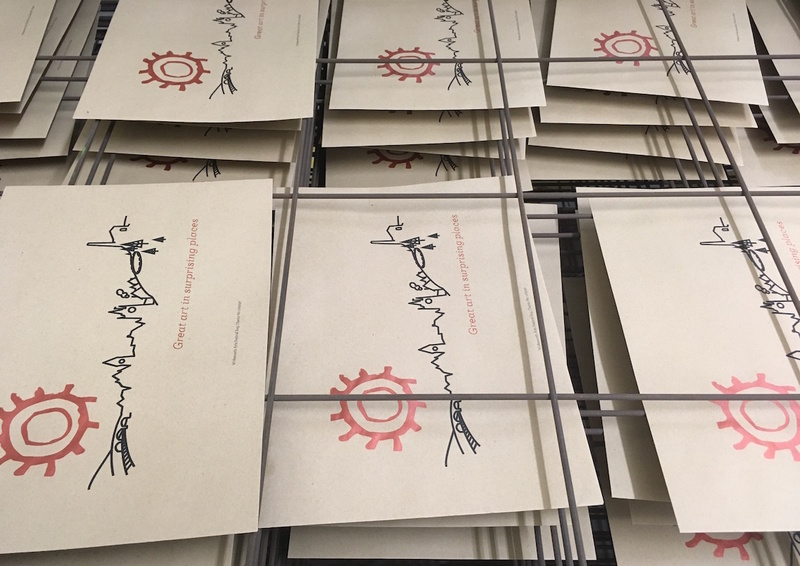 Gift memberships come in a specially designed decorative envelope and are on sale at Wirksworth Farmers’ Market, this Saturday 3rd December 2016, or you can email admin@wirksworthfestival.co.uk. Wirksworth Arts Festival is a Registered Charity No. 1169297. The Maltings, Church Walk, Wirksworth, Derbyshire, DE4 4DP.